The fantastic Sedona VegFest this past weekend was a joy, thanks to organizers Don and Bev Fries and the wonderful volunteers and attendees. Of course, leaving bitter cold Philadelphia for sunny, stunning Sedona was happy-making in and of itself, but seeing long-time friends and meeting new ones, learning from the speakers–including the brilliant Saray Stancic, MD (watch the trailer for her Code Blue film here)–and eating delicious healthy food was fantastic. Oh those Red Rocks of Sedona! My good friend Jason Wyrick and his business partner Eleanor drove me to Sedona from Scottsdale. Do watch for the launch of chef Wyrick’s fine dining restaurant Casa Terra in February. 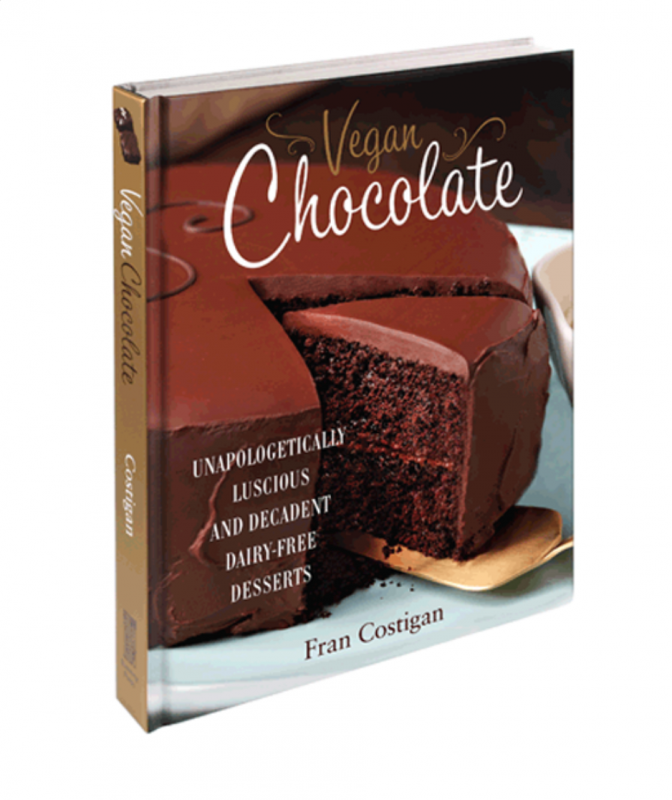 My Vegan Chocolate demo on Saturday was lively, and the room was packed. I was eager to see Chris Kalinich’s demo on Saturday. We’d met in New York City during my Art of the Cooking Demo at Main Street Vegan Academy. At the VegFest, Chris and I prepped side by side for her 10:30am and my 1:30pm cooking demos. I was impressed by her attention to detail and good nature. We had fun, too, on Sunday at our Ask the Chef Q&A. Chris Kalinich is the owner and culinary instructor of Plant 2 Platter, helping individuals and groups make positive life change through nutrition education mixed with delicious cooking application. 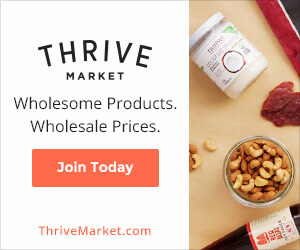 She is a PCRM-Certified Food for Life Instructor, MSVA-Certified Vegan Lifestyle Coach and Educator, and Nutrition Coach Practitioner for the Healing Consciousness Foundation. Her passion is to help everyone discover plant-based joy in the kitchen and in life. I know Chris personally as a gifted teacher who imparts detailed, useful, user-friendly information about the how-to of healthy, delicious eating. Her personal story about growing up without learning to cook and then wanting to cook healthfully was inspiring. Her tag line Discover Plant-based Joy in the Kitchen & Your Life certainly fits! It was the flavorful bowl of her Versatile Vegetable Salad that stole the show. I asked Chris if I could share the recipe here, and lucky for us, she agreed. The dressing is spectacular and like the salad, super flexible. This salad can change with the seasons and be “switched up” to use what you have at hand. It can be a scrumptious side dish, a filling for inside a wrap, or be front and center on your plate. This recipe truly is versatile! Place vegetables, dark leafy greens, sunflower seeds, shallot, and dried cranberries in a large mixing bowl. Mix well. Make dressing by combining remaining ingredients, except fresh herb, in a high-powered blender; blend until mixture is smooth and creamy. Add dressing to the large bowl of vegetables along with the chopped fresh herb and fold in gently. Serve immediately or let chill in refrigerator for several hours before serving. Feel free to change up the recipe: add ½ cup sun-dried tomatoes; add ¼ cup Kalamata olives; use golden raisins, flame raisins or dried cherries instead of dried cranberries; add your favorite bean, switch out basil for cilantro or parsley, top with ground pistachio nuts, use cooked vegetables instead of raw. You get the idea! To everyone at Sedona VegFest, thank you for organizing this excellent event, and remember the 20% Rouxbe discount through Jan 27th. 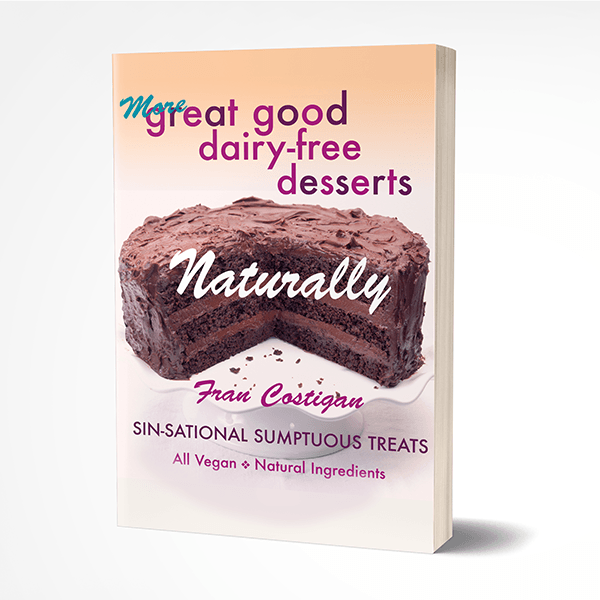 Use the code DELISH for the Essential Vegan Desserts course and EARLY1 for the Plant-Based Professional course. 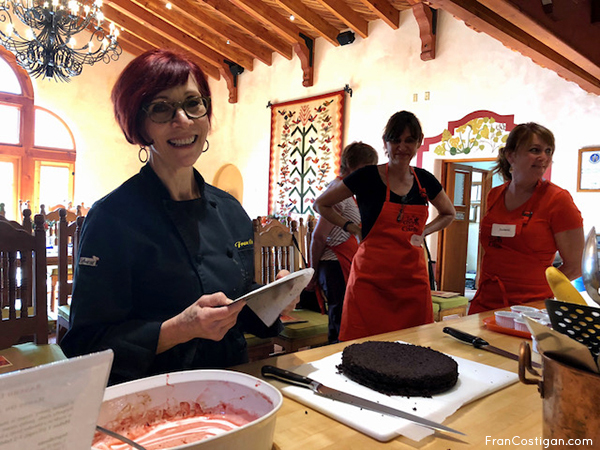 The next Esssential Vegan Desserts Course starts May 7, 2019! See the syllabus, FAQ, recipes and videos here. Learn to cook like a professional in the 6-month Rouxbe Plant-Based Pro Certification course. See the syllabus and reserve your seat here.